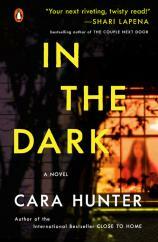 I would like to make sure you do not miss IN THE DARK by Cara Hunter. I recommend reading this superbly crafted work of fiction --- part police procedural mystery, part psychological thriller --- especially if you find yourself picking up what seems to be the same book, time after time, in slightly different packaging. Horrifying in some places, darkly humorous in others, it is a novel that you will remember for a long time. IN THE DARK is the second in a series featuring Detective Inspector Adam Fawley of the Oxford, England police. Hunter does an excellent job of bringing readers who have not encountered CLOSE TO HOME, the opening installment, into the fold. For our purposes, we will merely note that Fawley does his job quietly and professionally, while his personal life has been upended by the death of his young and emotionally troubled son. "IN THE DARK has everything --- from mystery, violence and passion to greed, lust and envy. Hunter’s pacing is perfect, and I actually find myself missing the characters." That said, matters get off to a rousing start after an enigmatic introduction. Fawley and his investigators are called to a highly unusual crime scene. A young woman and a toddler have been discovered in the basement of a house, locked in a small room and on the edge of starvation. Both are traumatized, the woman so much so that she can’t speak. There aren’t any missing persons reports that match their descriptions, and they don’t have any identification. William Harper, the owner of the house, is an elderly and retired college professor in the throes of Alzheimer’s who is unable to tell the police anything about his involuntary guests. 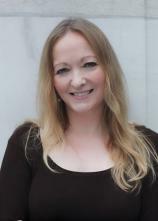 For Fawley, the matter is eerily similar to an unsolved case from two years earlier, in which a female disappeared without warning, leaving her husband and child behind. She had resided in proximity to where the woman and baby have been found, and the investigation quickly uncovers a decisive but grisly link between the two cases. Harper is the focal point, but there are just enough lingering questions that Fawley and his team keep digging. It’s a matter of discovering that the more they know, the less they know. Hunter drops twists and turns at well-timed intervals throughout the book, but never forgets the colorful primary and secondary cast of characters she has created and assembled to guide the story along. There is a bit of neat symmetry here, and just possibly a bouncing betty or two left at the end to go off at some future point in the series. IN THE DARK has everything --- from mystery, violence and passion to greed, lust and envy. Hunter’s pacing is perfect, and I actually find myself missing the characters. That’s an increasingly rare commodity these days that we as readers should treasure and hold near and dear. Don’t miss this fine work that reminds us of why we read.